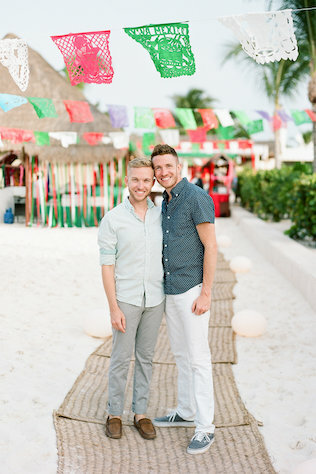 Newlyweds TJ and Colby chose an intimate Mexico destination wedding to exchange their vows because they wanted a luxurious experience while staying within their budget. 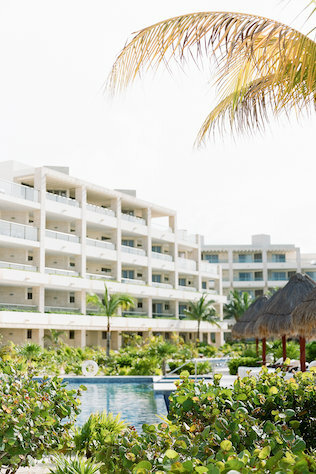 “We wanted an adults-only resort that didn’t have the ‘spring break’ feel,” the couple says. The pair says because they planned about a year in advance, their 33 guests were excited about the idea and had plenty of time to prepare. Initially, TJ and Colby searched for venues in their hometown, but after exploring their options, the newlyweds decided on a different route. “We decided that since our families are in different locations we would rather make a vacation out of it than stay in town,” they say. 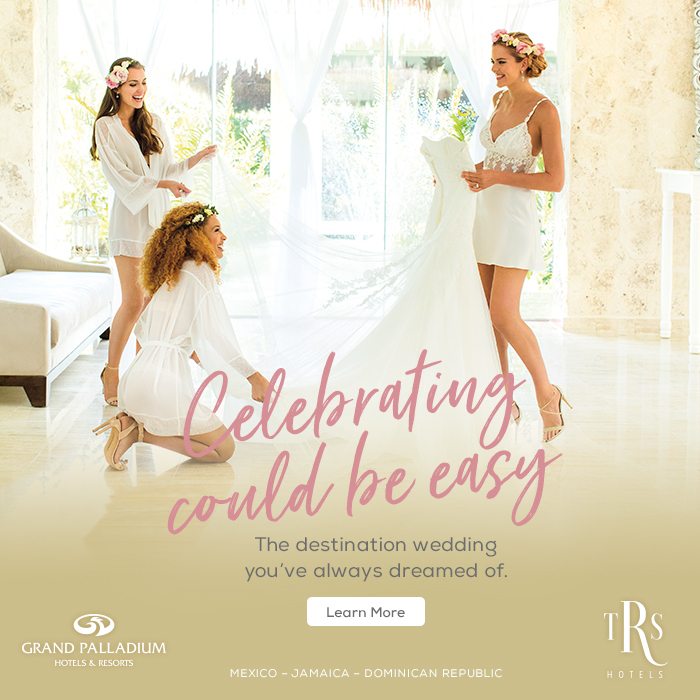 The newlyweds admit that planning a destination wedding was easy with the help they received. “Our wedding coordinator took care of every single detail, down to providing over 20 mimosas to the grooms suite for us to enjoy while getting ready for the wedding,” the couple says. 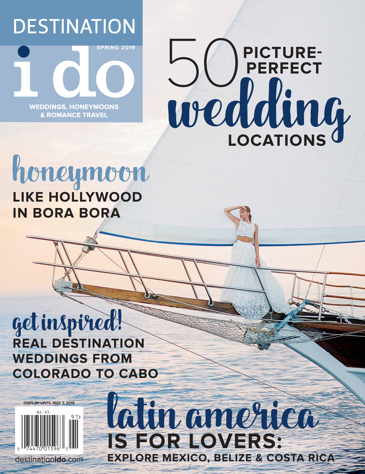 On the big day, the grooms say it was “perfection.” The vendors helped arrange a wedding with all they envisioned and more. 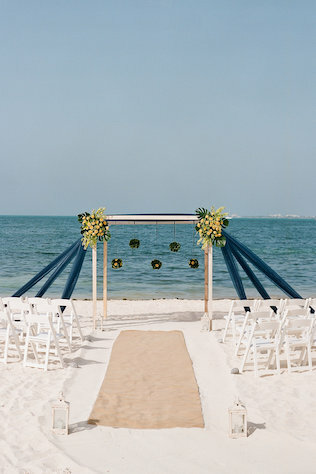 “The decorations were simply stunning and the flower arrangements added to the elegance that we were looking for in our beach wedding,” says the couple. With help from the DJ, the couple and their guests jammed to music for three hours straight. “By the end of the night, everyone was drenched in sweat, but had so much fun,” the grooms say. Even a mariachi band, which were at the resort, joined the festivities and played a few songs for the celebration. By the end of the experience, their reception ended up being what both TJ and Colby enjoyed most. “Dancing the night away with my new husband would be the highlight for both of us,” they say.